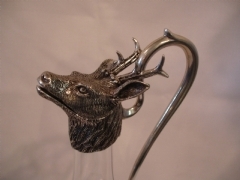 Lovely wine decantor with pewter deer head spout and handle. 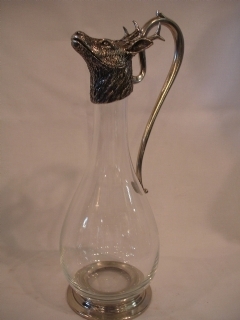 Crystal body sits on pewter base. Festive and chic for any occassion and looks great on the table. Size: 14" high with 5" diameter.